Amazon's charitable program (the AmazonSmile Foundation) donates 0.5% of all eligible purchases back to Pope with no upward limit. If, like my family, you regularly contribute to Jeff Bezos' next yacht purchase, this can add up very quickly! In order to take advantage of the Smile program, please use the link smile.amazon.com and then select Pope Elementary Parent Teacher Organization as your charitable organization. You can then continue to shop as usual. There will be no changes to product availability, prices, or shipping cost. Learn more here. Use Google Chrome? SmileAlways is a Chrome extension that automatically redirects all amazon.com pages to smile.amazon.com to make donating even easier! (Also, if you happen to download the extension on all of your family members' computers, we won't tell anyone!). Happy shopping! Clip BOX TOPS off hundreds of participating products and send them in with your child. Each Box Top is worth 10 cents for Pope and while it might not seem like a lot, it does add up. We've raised thousands of dollars for Pope in Box Tops throughout the years. 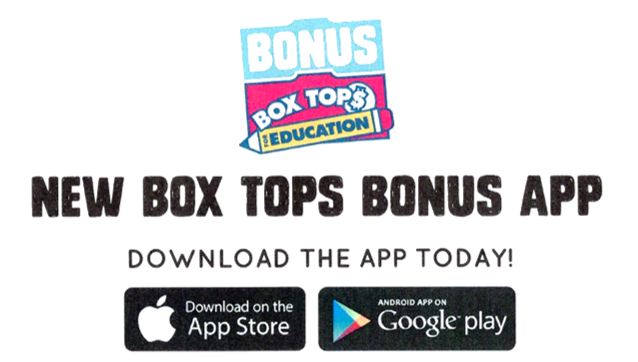 Download the new BOX TOPS FOR EDUCATION BONUS app and score extra cash for shopping limited time offers. Just shop the offer, buy the product(s), and scan your receipt - Box Tops will automatically add the bonus points to our account. Coke Codes can be found on bottle caps and inside multi-pack cases. Visit coca-cola.com/give/schools select Pope Elementary and enter / scan the code. You can also bring the codes to school and we will enter them for you. It's once again time to re-enroll for the Kroger Community Rewards program. For those that are new to Pope, this is another great opportunity to earn free money for our kids that takes very little effort. During the last quarter, we had 123 households participating and earned over $600! While that number is truly fantastic, can you imagine how high the amount earned could be if we had full enrollment in the program? Click here for instructions on how to get enrolled. The Pope PTO organization number is 92074. Happy shopping, neighbors! Want a great way to label your kids clothes, lunch boxes, water bottles, or just about anything they might potentially lose or misplace? 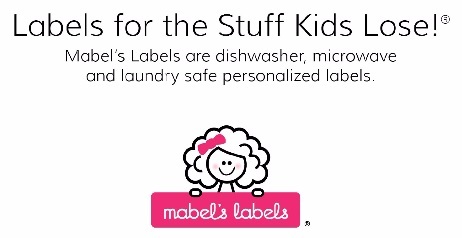 Try Mabel's Labels and support our school. It's simple. Visit campaigns.mabelslabels.com and under the "Select Your School / Organization" drop-down link, select "Pope Elementary PTO (Cypress)". Then click "Click Here to Buy", then shop as you would normally. They provide FREE shipping with no minimum order required. Pope will receive 20% of sales on orders placed through our link. Every order, no matter how big or small, will benefit Pope. Get your labels today! When shopping for office / school supplies at Office Depot / Office Max, designate Pope Elementary (code is: 70229924) in their "Give Back to Schools" program. They'll give back 5% in supplies to Pope. And if you've shopped at Office Depot / OfficeMax but forgot to give them Pope's code, you can Submit A Request to get the credit added. Download the PLANET FUNDRAISER app and sign up for a $20 off discounted SHIPT membership at Shipt.com/Fundraise. Then, upload your membership receipt onto the Planet Fundraiser app. For all new membership receipts uploaded to the app, Pope will receive $10 back. For every Shipt order receipt uploaded to the app, Pope will receive 3% back. Got pictures to print? Photobooks to make? Holiday Cards to create and send out? Whatever your photo need, Shutterfly can help. AND, guess what? Through Shutterfly's fundraising program, Pope will earn 13% of sales when you use the link popepto.shutterflystorefront.com. You can also shop through their affiliate, Tiny Prints. What's more, you can even use Shutterfly promotional codes as you would normally. How awesome is that? You've got your memories to share while helping your school at the same time!